What is Yoga? Yoga is a very old way of life that came from India that encourages personal health, spirituality and wellness. It doesn’t clash with any religion but does have an influence on our spiritual path. What Yoga is not: a religion, a circus act, looking intently at a candle in roomful of smoky incense, or just for adolescents who are flexible. To practice correctly you need discipline, concentration and attentive breathing. The effect of serious Yoga practice is an excellent union of mind, body and spirit. 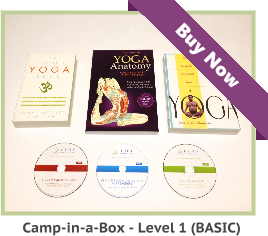 No matter your age, knowledge, body shape, or physical skills can implement a Yoga program. Hatha based or alignment styles have been around for approximately 5000 years. More and more medical practitioners and therapists are using Yogic exercise as a remedy for many kinds of poor health conditions. The rewards of practice are numerous and consist of increased strength and flexibility, cardiovascular vigor, healing injuries, produces mental clarity and emotional balance. 1. Weight lifting drills for strength. 2. Jogging or aerobics for cardiovascular workout. 3. Tai Chi for building awareness of balance and harmony. 4. Stretching exercises for flexibility. 5. Meditation for relaxation and tranquility of the mind. Yoga is more than a stretching and relaxation system, it’s the ideal test for your mind and body. Should you practice Yogic exercise? All persons from couch potatoes to world class athletes can profit from the exercise. Purna style requires the perfect positioning of your body as you hold the poses you develop your physical strength and stabilize your emotional and mental condition. This does not happen overnight, if you are looking for a fast solution to a health problem you are better off looking for another type of exercise. Asana will be your preferred exercise if your long term goal is to reclaim your energy, health and dynamism. 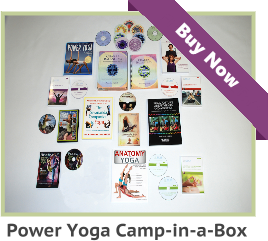 Yogic exercise is a perfectly balanced program that can be started by anyone above the age of eight. Your practice can be made more challenging as you progress or take it easy on days which you are fatigued. Familiarize yourself with the various Yogic styles to have a better understanding of the classes that are offered in the Yoga schools near you. You need to be able to choose the correct style which will match your practice goals and your level of physical fitness. 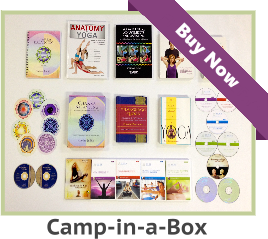 No matter why you are interested in learning more about starting a Yoga practice, you will certainly profit from the self-control, breathing techniques and the physical exercise you get while practicing. 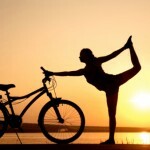 Daisy Pascual writes about yoga to encourages personal health, spirituality and wellness..